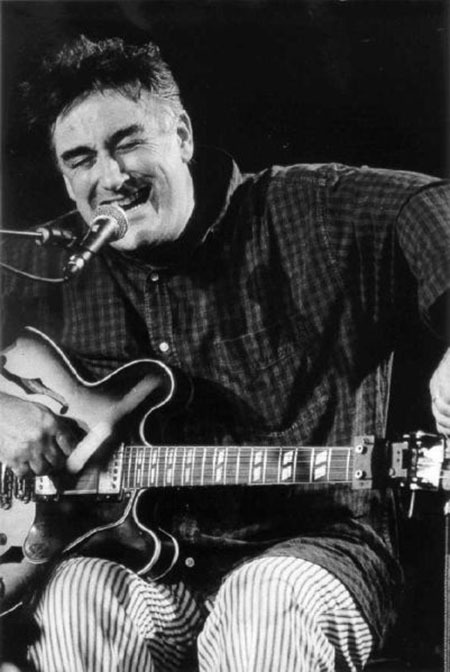 Best known world-wide as an improvising guitarist, Fred Frith was co-founder of the British underground bands Henry Cow (1968-78) and Art Bears (1978-81). He moved to New York in the late 1970s and came into contact with many of the musicians with whom he’s since been associated, including John Zorn, Ikue Mori, Tom Cora, Zeena Parkins, and Bob Ostertag, and groups like Massacre (with Bill Laswell and Fred Maher), Skeleton Crew (with Tom and Zeena), John Zorn’s Naked City, and Keep the Dog. In the 1980s Fred began to write for dance, film, and theatre, and this in turn has led to his composing for Rova Sax Quartet, Ensemble Modern, Arditti Quartet, Asko Ensemble, and many other groups, including his own critically acclaimed Guitar Quartet. He is currently Professor of Composition at Mills College in Oakland, California.